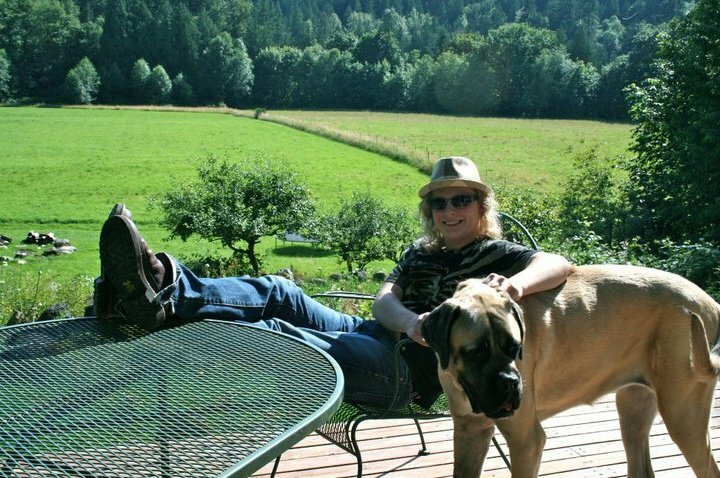 When settles first came to the Washington area, drawn by its fertile land, they found the Coastal Samish. 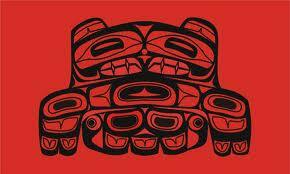 Two distinct linguistic groups emerged and were categorized by the state; the Straits and the Lushootseed. The Upper Skagit tribe belongs to the Lushootseed language, along with four other tribes. However, even the Upper Skagit Tribe embodies multiple pre-relocation tribes and peoples. When Relocation first began, the Point Eliot Treaty was signed by upwards of eighty tribal leaders, in 1855. This treaty stated that in exchange for the majority of tribal land, tribes would receive a small amount of money and access to federal welfare, health, and educational services. They would also retain access to their traditional hunting and fishing areas. Unfortunately no single tribe was recognized through the treaty, and therefore no reservation was set up. Relocation was to put Coastal Samish tribes on distant reservations to be shared with unfamiliar or enemy tribes. Opposition to relocation unsurprisingly occurred in spite of the signed Point Eliot Treaty. This fighting lead to a clouding of the waters and the treaty was not recognized or legally upheld until 1974, when the State of Washington tried to regulate tribal fishing. Now the state upholds this treaty on public and private land. The Upper Skagit Tribe dwelled in longhouses, scattered all over the banks of the Skagit River. Remains can be dated back eight thousand and five hundred years. The tribe was primarily known for fishing and small time game hunting. Their cultural patterns follow those of salmon migration upstream. Tribes themselves would travel by boat to the mouth of the river for celebrations and salmon harvests. Their permanent longhouse shelters were typically built of cedar wood. They would house an entire family group in one, and also use the space to dry salmon. A fireplace in the middle of the house would have an opening above it. Basket weaving was integral to the transportation of fish. From the legend of the “Raven and Crow’s Potlatch”, we know that the Upper Skagit tribes were known for their potlatches. One family would host a great meal, and others would take the leftovers. Then each participator would have their own potlatch and invite the original family. This way food could be shared and stories spread. The Upper Skagit Tribe connects culturally to land. All their knowledge is passed down through stories of the land. Information of good fishing spots, healing waters, or natural dangers are all told through legend of the land. Since oral history counts as one of the tribes few cultural ties, the traditionally mentioned fishing spots are an extension of that cultural tie. Their sacred fishing spots serve as verification and as a re-establishment of their traditions and culture. For this reason they are sacred to the Upper Skagit Tribe. The Upper Skagit Tribe holds their traditional fishing spots as sacred and designated by the spirits. However, much of these spots can only be gotten to by crossing private land, or in other words, by trespassing. While the Point Eliot Treaty allows for this trespass if it means having access to traditional fishing locations, private landowners are sometimes less than willing. This case study illustrates how these tensions can be overcome through cooperation and accommodation. The Van Wagoner family owns a plot of land that borders the Skagit River, in Concrete, Washington. Between their house and the river lies a field used to raise stock grain. It also looks quite beautiful in the summer. When the family bought this land no realtor knew or acknowledged that it was an access point for traditional tribal fishing grounds. The first time they knew of it at all was when their neighbor called the police on some tribal fishers crossing the family’s field in multiple trucks and cars. (While the police cannot stop tribes from accessing the river, they can fine them for property damage caused by automobiles and the like, since cars are not authorized under the treaty. In fact, no transportation, besides that of one’s own legs, is authorized.) Robert Van Wagoner noted that while their neighbors showed animosity toward Native Americans, along with the entire town, he did not. Mr. Van Wagoner struck up a deal with the Upper Skagit Tribe. He allows them access with a car, to the river, on the condition that they call the house for him to open the gate and that they stay on one path that he has created. As a thank you they always give him first pick of fish to buy when they are done. It may be wise to explain the tensions between the area and the Upper Skagit Tribe. His son, Phoenix Van Wagoner explains that the Tribe use nets to fish. Net fishing during salmon season will trap huge quantities of fish, faster than the fishers can curb their suffering. Nets fishing yields are often huge and heavy. (Hence the need for cars by the river to transport the fish.) This practice has been banned for commercial uses since it negative ecological effects. In addition to being able to net fish, “Skagit Basin tribes retain rights to 50 percent of the salmon harvest and co-manage the river with Washington’s Department of Fish and Wildlife.” This means that they can set prices on fish they sell. This price often undercuts other fisher’s profits, and profits of marketplace sales. Phoenix also adds that there are prejudices against Native Americans that are rooted in many early settler families still in the area. Mr. Van Wagoner notes that his reasons behind a friendly relationship are thus. He notes first that he is no expert, but that relationships between “the Anglos and Native Americans” are often tense due to past wrongs. He does not wish to continue this tension in his personal life and easily puts up with cleaning up trash, such as beer cans and papers, if it means upholding traditional activity that has long standing. Policy-wise he is inclined to promote accommodation, even if he personally thinks that their practices are hypocritical, often being less than ideally environmental, since Native Americans are known for their close connection with the land. In conclusion he is perfectly happy with the relationship he has with the Upper Skagit Tribe. Why is equitable access such a problem with private property? One could say that while more treaties tighten the actions of federal organizations, private landowners must only follow them when cases are brought to court. But one could really say the same thing about federal organizations. The argument must be brought back to ignorance of culture. Prejudice and stigmas exist between Indigenous people and non-indigenous people, period. That trend sprouts up everywhere in the world. Private landowners put forth their own prejudices. Oftentimes these are reflective of the way they were raised. As seen by the film, , many people dislike Native American traditions mostly out of ignorance. A woman in the film thinks it is abominable to place “trash” (sacred cloth bundles) out in a national monument and sees no church out there, because it is nothing like the church she grew up in. There are cultural boundaries that exist within the United States of America that are always hard to over come such as race, age, gender, socio-economic class, and religion. However, Native American culture differs in multiple ways from American culture. Understanding their culture is comparable to understanding Middle-eastern culture. It takes multiple perspectives that often go unturned over for the average US citizen. Private Property not only allows for a lack of understanding and therefore conflict, but also allows for a constant switchover. Even if common ground is met it can only last the lifetime of the land ownership. Constant tension will remain due to a sense of long-term uncertainty. Many studies are being conducted on how to overcome such conflict, and published articles like, “Access to Natural Resources on Private Property: Factors Beyond Right of Entry”, are creating forums to discuss these obstacles. More to the point, however, regulation by extra-native or colonial bodies will always result on conflict. It is more reasonable to suggest that Indigenous Committees be formed to deal with the cultural boundary, so as to deal with conflict smoothly and without offense. “Upper Skagit Tribe.” Upper Skagit Tribe. N.p., n.d. Web. 03 Nov. 2012. <http://www.u-s-history.com/pages/h1581.html>. A source of history. Eldrbarry. “Raven and Crow’s Potlatch.” Raven and Crow’s Potlatch. N.p., n.d. Web. 03 Nov. 2012. <http://www.eldrbarry.net/rabb/rvn/crow.htm>. A source of legend. “Restoring Wild Salmon. Earthwatch Institute Journal, 15264092, Jan2004, Vol. 23, Issue 1.” Academic Search Complete. N.p., n.d. Web. An ecological source. Van Wagoner, Robert and Phoenix. Interview by Kirsten Fossum. 01 Nov. 2012. A human source. Ginger, Clare, Marla Emery, Michelle Baumflek, and David Putnam. “Access to Natural Resources on Private Property: Factors Beyond Right of Entry.” Society & Natural Resources, June 2012. Web. 3 Nov. 2012.